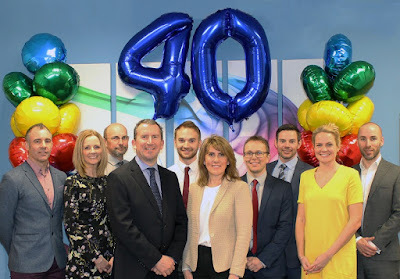 Award-winning firm, Pricecheck Toiletries, is celebrating 40 years in business this month and it looks set to pass the £70m annual turnover mark this year. Officially opened in 2016, the new premises at Beighton Link Business Park in Rotherham matched the firm's ambitious future growth plans, with the 115,000 sq ft warehouse able to accommodate 40% more than previously achievable and offices that tripled in size. Pricecheck recently added a new mezzanine level whilst opening a second warehouse facility in Attercliffe, Sheffield. The company now boasts over 15,000 pallet spaces across the two sites. The business began as a local retail store in Sheffield, however, the Lythe family soon expanded into international health & beauty distribution. In recent years the company has moved into the distribution of fragrances, household, medical, food & drink, alcohol, confectionery, and children's products. Alongside the move into new product categories the company has worked to develop its export business which now accounts for almost half of its £73m turnover. Doug Lythe, founder of Pricecheck, said: "Forty years ago I couldn't imagine we would have been responsible for starting such a successful international business, I don't think anyone would have predicted it. "The business has gone from strength to strength since Mark and Debbie took over in 2007. I offer my heartfelt thanks to all the staff for their loyalty and commitment to our customers and suppliers over the past four decades. "I look forward to celebrating in our unique Pricecheck style before they start work on the next forty years!" Joint MDs Mark and Debbie have ambitious growth plans underway for the next decade, the duo are aiming to more than double turnover to £200m by 2025. This will mean a significant investment in people, and the pair aim to take on a further 60 staff over the next two years. Mark Lythe, joing managing director at Pricecheck, said: "Debbie and I have lived and breathed Pricecheck all our working lives, knowing we are growing our family business year on year is a great source of pride for us both. We are working hard to employ the right people to develop the business further over the next few years." To commemorate this momentous year, and to thank the 140 staff for their hard work and dedication, the company announced it would be throwing a special anniversary party for employees and increasing their annual holiday entitlement.